It has always been thought that the countries in the Arab region were on the edge. This actually turns out to be true. They actually are. The people who thought that the autocracies in Arabic countries would last for decades were actually wrong. The proof of this is the recent Egyptian and Tunisian revolutions. In light of this, all historical academicians, policy makers, and political analysts must rethink and reassess the understanding they have of an area that is seen to be leaning more toward democracy. What has been happening in the Arabic countries is a total disapproval of how democracies should be managed. The neoconservatives who had a special attachment to the notion that a democratic revolution was a must, gave in and said that it would be a struggle that would take ages. The Arabs were asked by their leaders to have patience. In order for them to progress towards democracy, they had to build a middle class that was secure, and reach a given level of economic recovery and growth. Moreover, they were told to be ready to support democracy. No one explained to them how a democratic regime would emerge under autocracy. The United States of America started impressing upon Middle East countries to support the establishment of a strong civil society movement. This was in the 1990s. After America was attacked on September 11, 2001, the American administration led by George W. Bush increased the assistance that the region was receiving. During the fiscal year 2009, annual U.S aid in terms of democracy to Middle East was more than the entire amount that the country had spent for a decade (1991 to 2001). Even though the aid was being put in the category of aiding democracy, it was not to be. 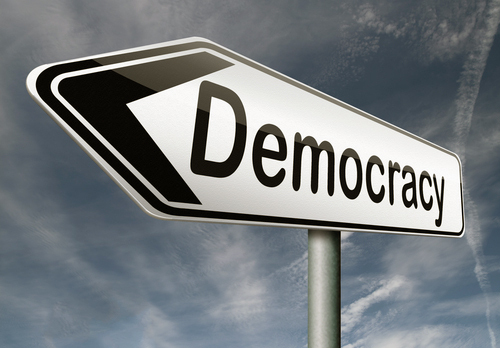 Democracy is only seen to be at work when there was an alteration of the ruling regime. However, most of the organizations that received assistance did not support a change in regime. The United States, as well as other countries from the West, were seen as supporting reforms. However, they were only interested in changing an order which had given them illegitimate regimes in the Arabian land. The regimes became strategic enough that they managed to convince western countries to have more interests as well as ensuring that residents would access energy resources. The West was wary of a radicalized Islam reign that would be synonymous with the Islamic revolution that happened in 1979. The regimes such as those in Egypt, Morocco, Yemen, Egypt, and Algeria were the ones that created the appearance of reforms. The issue of democratization was managed in a defensive manner. It was not supposedly devolution per se but was aimed at preventing the emergence of the same. The result of this were some autocracies that were always involving themselves in minute reforms but doing very little to alter the power arrangement. Daniel Brumberg said that the opponents of the regimes found themselves in a tussle referred to as endless transition. How was change going to occur? The European Policy communities and the United States gathered around the notion of gradualism. Almost everyone was supportive of the idea of Arab democracy but no one seemed to have any idea of how to make it happen. In view of this cluelessness, it was in order to think of reforming the economy and later changing the political arena. This was a short way of saying that political change influenced by foreign policy was easy to bring about but it was hard to foster a revolution. However, a positive occurrence in the region is the merger of pro-democratic followers and nationalists. This has led to the severing of links between anti-western crusaders, locals and international radicals who claim to support the Middle East against a common enemy. This practice has been tried by the Al-Qaeda in Afghanistan and Iraq. Successful elections held in the Middle East have led to the widening of the autocratic leadership gap. Such polarization is being experienced in Afghanistan. The Taliban lost the immense support it had. The group did not lose its support simply because they opposed the Americans, they were opposed for the reason that they were seen and heard calling for a forceful interference with the process of elections. Even though the American troops are still at work in Afghanistan, foreign volunteers have not been coming in large numbers as they used to. It is factual that when the domestic agendas of a nation are prevalent in the political scene, outsiders who come in to discuss their international agendas cannot find room since they are said to ignore the touching local issues. It has been noted that most of the Taliban members are quitting the combative nature of the group and opting for the political arena. This could be happening in Iraq. The foreign volunteers who were being viewed as friendly to the local people have been complaining of being unduly targeted for the alleged killing of Iraq citizens. They have also been accused of causing disruptions and strife in the political field.